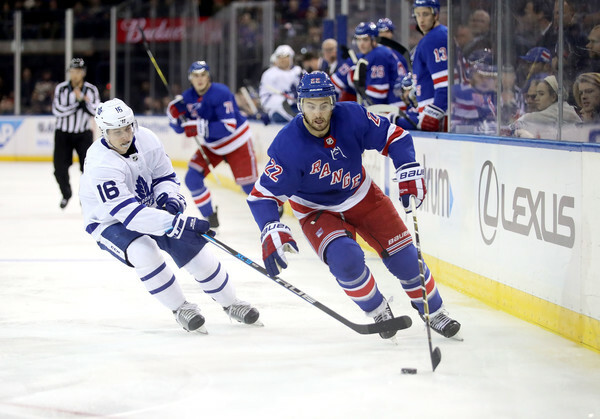 Will the Toronto Maple Leafs make a trade for Kevin Shattenkirk? Are the Toronto Maple Leafs interested in Kevin Shattenkirk? TSN Radio: Darren Dreger was on the radio and discussing Toronto Maple Leafs GM Kyle Dubus scouting the New York Rangers game against the Calgary Flames. The Rangers were also scouting the Leafs earlier in the week. Dreger simply speculates that the Leafs could have interest in Kevin Shattenkirk. The Leafs were interested in Shattenkirk at the 2018 NHL Trade Deadline and the rumor was the Rangers wanted Kasperi Kapanen. Dreger was told it was a hard no on that request. Many teams do not think Shattenkirk is a top 4 defenceman anymore, and even though he is a right handed shot, do the Leafs really need Shattenkirk? What the Leafs need is a tough, great skating defenceman that is responsible like Anaheim Ducks dman Josh Manson. If they Leafs are looking at a top teir defenceman, they could possibly target Minnesota Wild’s Matt Dumba. Sportsnet: While the mutual preference of both the Toronto Maple Leafs and winger William Nylander would be to get a long-term deal done, Chris Johnston reports that this no longer appears to be an option. He notes that there isn’t an AAV that is high enough for Nylander’s liking that fits in with Toronto’s salary structure for 2019-20 and beyond. With that in mind, the Leafs are basically down to two options – either sign him to a bridge contract or trade him and by all accounts, the latter route is something they have no interest in going at this point nor has Nylander requested a move. The bigger question now is how long the bridge deal will be. Although the 22-year-old has gone through his entry-level contract, only two of those seasons qualified as counting towards UFA status as he failed to play in 40 games back in 2015-16. As a result, Nylander is still five years away from being able to become an unrestricted free agent. That gives Toronto the opportunity of pursuing a three-year bridge pact instead of the standard two while still leaving him with a couple of arbitration-eligible seasons at the end of the deal.